Make your way to the city’s St Katharine Docks this festive season and step back in time to the middle ages for an afternoon, where you'll celebrate Christmas like Kings and Queens! You’ll receive a warm welcome on arrival, before you discover the venue’s spectacular vaulted area and experience a stunning medieval themed winter wonderland. Here, you'll discover the lavish life that royalty once enjoyed with an incredible feast and some outstanding entertainment from the royal court jesters, all combined with incredible theming and sparkling decorations throughout. 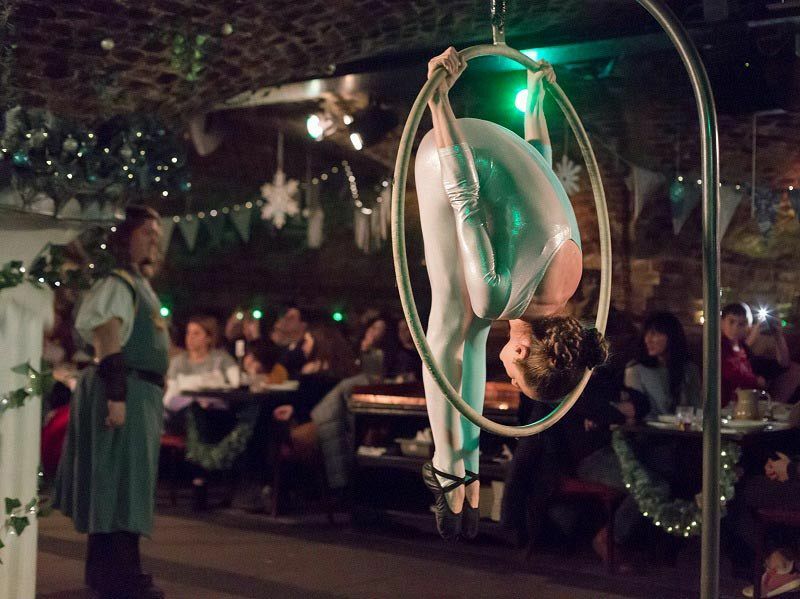 Take a seat at your dining table and watch performances from the talented crew, who will hypnotise you with a breath-taking medieval show. 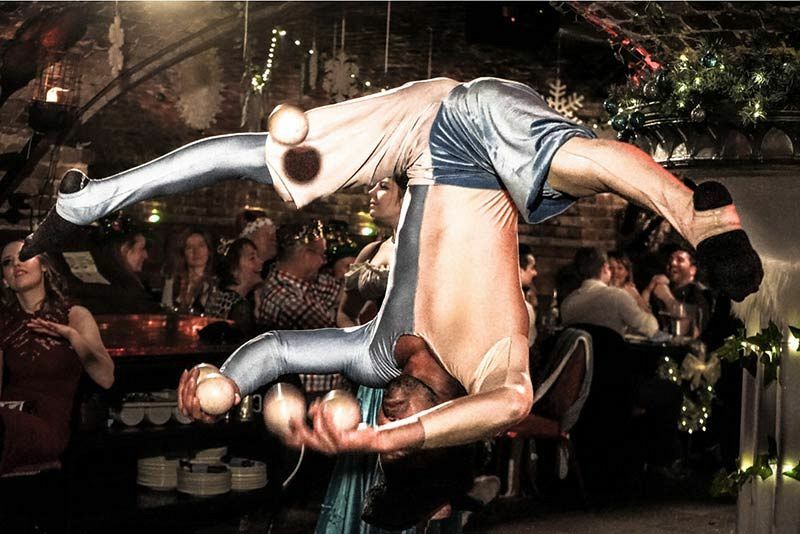 Relish in a skilled swordfight between charming knights, watch the juggler's rib-tickling tricks and look on in awe as you admire the glamorous twists and twirls of the aerial acrobats and contortionists, all whilst you feast upon five succulent courses. Each guest will be served a half bottle of wine to accompany their meal. After you've enjoyed dinner and all the action of the medieval show, the afternoon is still young! A fantastic afternoon disco will be in full swing to ensure that you and your colleagues will be able to finish off the celebration in style. Expect an exciting playlist that’s filled with all the best party hits, which will be sure to have you up on that dance floor. 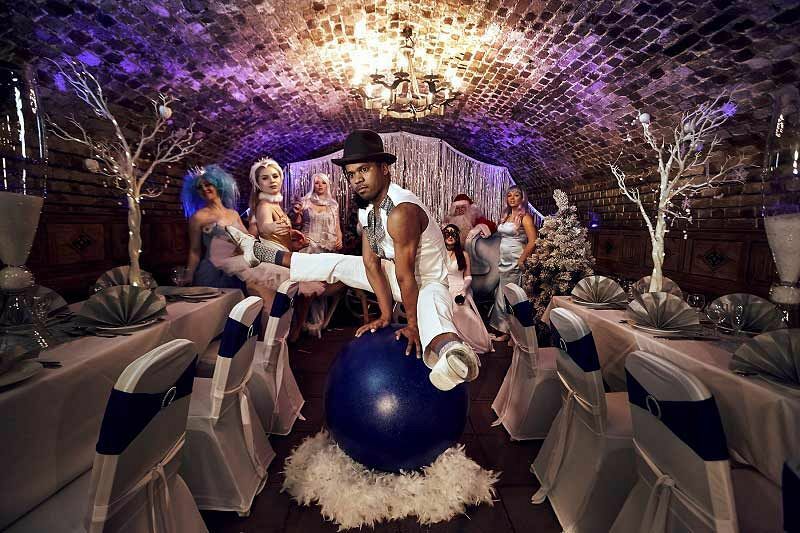 This themed lunch banquet will certainly be one Christmas party that you’ve never experienced before!